Set up in 1982, Office Plus Ltd has grown from a small retail outlet to a National Commercial Office Supplies Company with access to over 20,000 products. 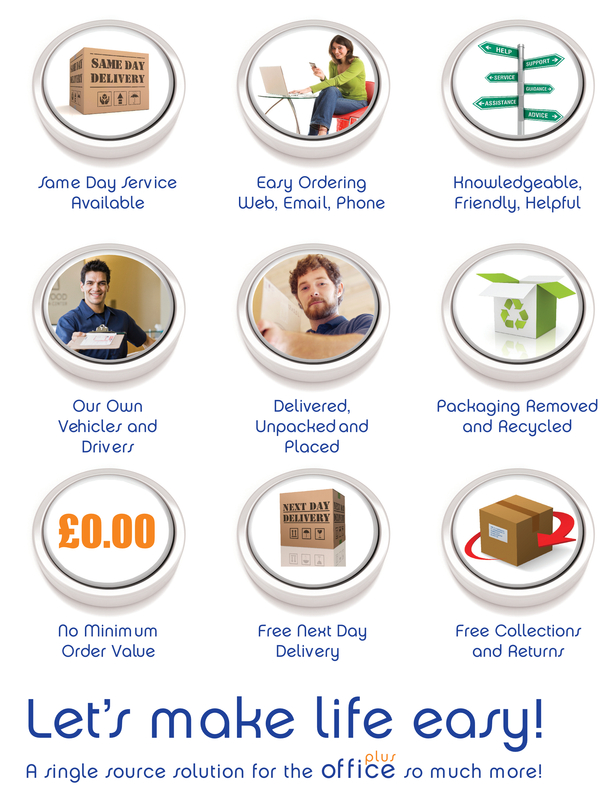 Our commitment to you as a valued Customer…. At Office Plus we are passionate about our customers, service and products. We are a specialist team providing a one stop shop for a broad range of services and products that can assist you to run your business efficiently and economically. No order is too small for us to care about, or too large for us to cope with. We work hard to ensure we deliver the highest standard of service and will always go that extra mile for our valued customers! In these challenging times - we will work with you to ensure you get the best deal possible matched with an excellent service. We will not increase prices without talking to you first!